Plans to overhaul transport across the North of England, including with multi-billion pound rail schemes, have been laid out by the government. The Northern Transport Strategy report details what George Osborne believes will create a "northern powerhouse". It contains a long-term plan to improve road links and speed up train times between major cities. But the Rail, Maritime and Transport union said the proposals were "yet more pie-in-the-sky nonsense". The report, which is being published by the government and the newly formed Transport for the North (TfN), sets out a range of options for upgrades of existing rail lines or building new lines between key locations. The report also sets out such ideas as developing new east-west road connections, a road tunnel under the Peak District, and introducing smart travel cards and simpler fares across the North. This report isn't really full of new ideas. Instead it's the packaging up of the best ideas from the various northern (and Labour-led) councils and the coalition government. Some of those ideas are already funded and in fact announced, like the road improvement schemes. The rail schemes are more of an unfunded wish-list. There's been lots of talk of boosting train times between the big northern cities, but for the first time we've got a price list. Even the cheapest upgrade starts at £1bn and new lines could be as much as £19bn. But it's all money that will have to be found by the next government, at a time when the country's tightening its belt. The government has also said it will prepare a hybrid Bill, to be laid before the next Parliament, with a view to bringing the high-speed HS2 line to Crewe sooner than planned and also looking at the case for accelerating the construction of the route between Leeds and Sheffield. That project will see high-speed trains run from London to Birmingham and to Manchester and Leeds. The bill will also include plans for widening sections of the M1, M6 and M62, and there are plans for better connections to Manchester Airport and improvements to the A1. Some of the road schemes have previously been announced and funded. 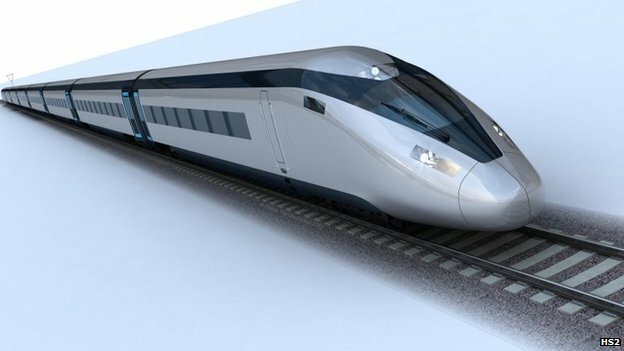 Prime Minister David Cameron has also previously given the green light to plans for a high-speed HS3 rail link in the north. The report has been launched by Chancellor George Osborne and Transport Secretary Patrick McLoughlin. Speaking to BBC R4's Today programme, Mr McLoughlin said the money would be spent on "electrifying over 800 miles of railway" and revamping Victoria Station in Manchester. He said: "We are spending over the next five years on Network Rail some £38b as well as investing in HS2." Mr McLoughlin insisted that this funding would not be affected by the departmental spending cuts announced by the chancellor, to be introduced after the election. He said there would be more devolution to local authorities so they can take on decision-making powers for regional franchises. Devolution would not include intercity services, trains to London or services that cover the whole of the UK, Mr McLoughlin added. Mr Osborne said: "Connecting up the great cities of the North is at the heart of our plan to build a northern powerhouse. "From backing high-speed rail to introducing simpler fares right across the North, our ambitious plans for transport mean we will deliver a truly national recovery where every part of the country will share in Britain's prosperity." Deputy Prime Minister Nick Clegg said the plans would transform that part of the country by boosting business and tourism. But Mick Cash, leader of the Rail, Maritime and Transport union, said that transport services across the region were actually "lumped with clapped-out, overcrowded trains with any replacement programme light years off". 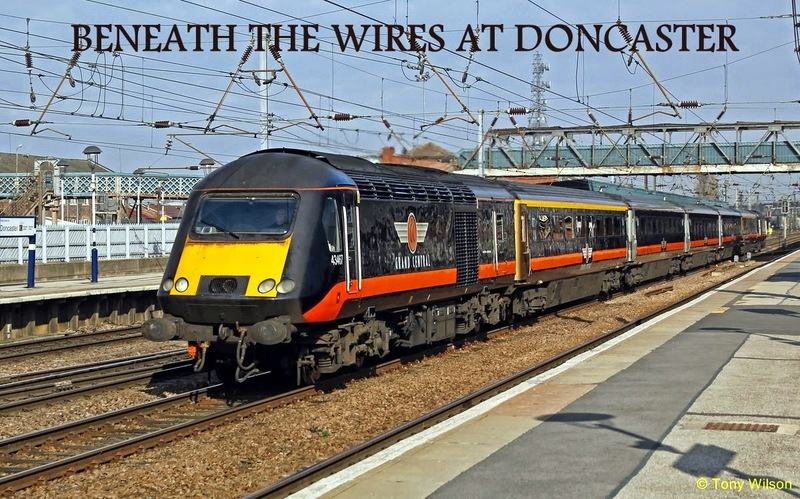 Mick Whelan, general secretary of train drivers' union Aslef, said the plans were "fanciful in the extreme" and a "blatant piece of post-Budget electioneering". Shadow transport secretary Michael Dugher said the move was a "desperate, last-ditch attempt to win votes in the North" by the Conservatives and Liberal Democrats, ahead of the forthcoming general election. Ed Cox, director of Institute of Public Policy North, a think tank, said the proposals were "very positive" but he hoped that the timetable for the schemes could be "moved forward more quickly". "None of this can come a moment too soon," he said.